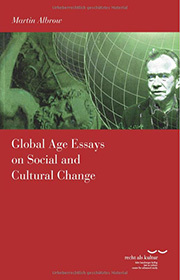 2014 Global Age Essays on Social and Cultural Change,Klostermann Vittorio Gmbh. 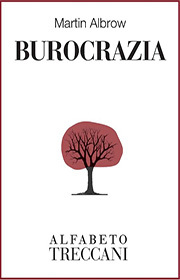 2014 Burocrazia, Translated by Alfabeto Treccani (Italian Edition) Kindle Edition, Istituto della Enciclopedia Italiana fondata da Giovanni Treccani. 1997 Do Organizations Have Feelings ? London and New York: Routledge, pp xiii + 184. ISBN 0415115469 (hb) and 0415115477 (pb). 2007 Das Globale Zeitalter. Translated by Frank Jakubzik. Frankfurt am Main: Suhrkamp. Pp 370. 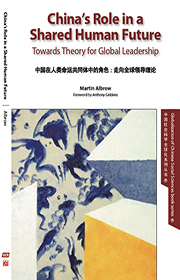 ISBN: 351845868X 9783518458686 2001 The Global Age ( Chinese). Translated by Gau Xiangze and Feng Ling, Beijing: Shangwu Yishuguan. 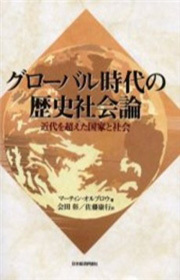 pp 403.ISBN: 7100032946 2000 The Global Age (Japanese). Translated by Yasuyuki Sato. Tokyo: Nihon Keizai Hyoron Sha. Pp. 375. ISBN 4-8188-1207-2. 1998 Abschied vom Nationalstaat: Staat und Gesellschaft im Globalen Zeitalter.Translated by Frank Jakubzik. Frankfurt am Main: Suhrkamp, pp. 330. ISBN 3- 518-40966-2. 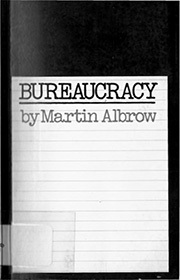 1992 Bureaucracy (8th printing). London: Pall Mall; New York: Praeger; London:Macmillan (pb). 157 pp. 1974d Bureaucracy (Japanese). Translated by A. Kimimura. Tokyo: Orion Press. 1972d Byrakratiet. Translated by E.A. Kristoffersen. Oslo: Cappelen. 1972c Byrakrati. Translated by Margareta Backlund. Stockholm: Wahlström and Widstrand. 1972b Bürokratie. Translated by Ulrike Roeckl. Munich: List. 1971 Bureaucratie. Translated by E.D. de Jong. Rotterdam: Universitaire Pers. 1970 Bureaucracy. London: Pall Mall; New York: Praeger; London:Macmillan (pb).157 pp. 2011 with Hakan Seckinelgin Hakan Seckinelgin, Global Civil Society 2011: Globality and the Absence of Justice. Basingstoke: Palgrave Macmillan. Basingstoke: Palgrave Macmillan. 2008 with Mary Kaldor, Helmut Anheier, Marlies Glasius, and Monroe E. Price, eds. Global Civil Society 2007/8: Communicative Power and Democracy. London: Sage. 2007 with Mary Kaldor, Helmut Anheier and Marlies Glasius,Global Civil Society 2006/7. London: Sage. 1990 with Elizabeth King, Globalization, Knowledge and Society: Readings from International Sociology, London, Newbury Park and New Delhi: Sage in association with the International Sociological Association, pp 280. 1972 with Paul Halmos, Sociology of Science, The Sociological Review Monograph18. Keele University, pp. 226. 1972 with Paul Halmos, Hungarian Sociological Studies, The Sociological Review Monograph 17. Keele University, pp 332. 2011 with Michael Banton and Charles Taylor, 'Review Symposium: Joachim Radkau Max Weber: A Biography, tr. 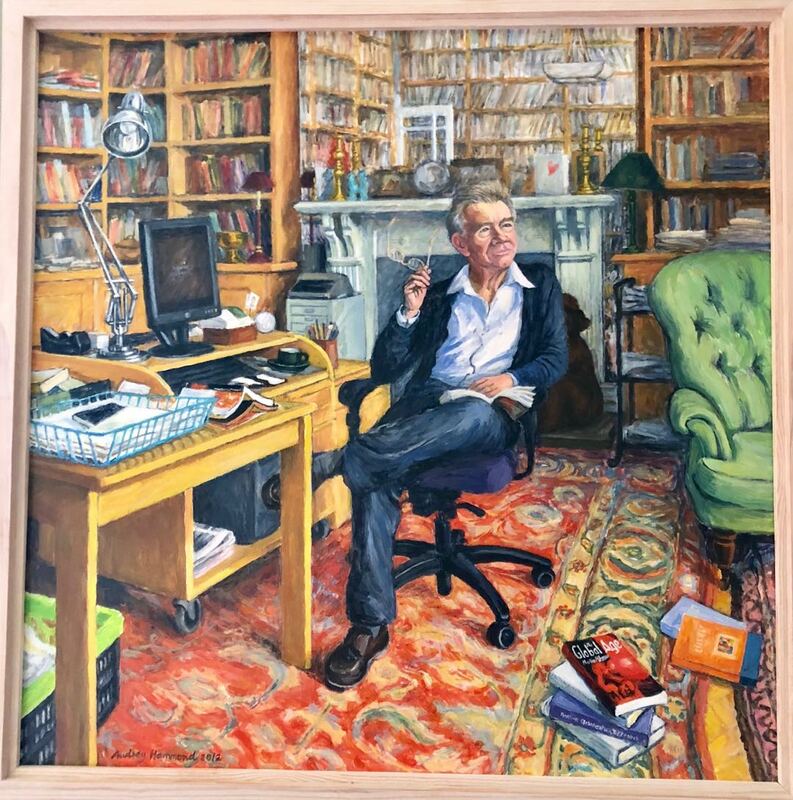 Patrick Camiller., Cambridge, Polity,' Sociology, 45: 168-72. /2009/0401_global_financial_crisis_bradford.aspx also in English and French 'Le G20 et l'invention d'une responsabilité publique mondiale' in La Vie des Idées, on line journal, http://laviedesidees.fr/Le-G20-et-l-invention-d-une.html , 01.04.2009. 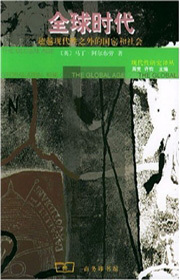 2007 'A New Decade of the Global Age, 1996-2006', Globality Studies Journal, on-line publication. No. 8, July 17, 2007. http://www.stonybrook.edu/globality. 2005 (a) 'Reconstituting the Public-Private Divide under Global Conditions: the Case of Dutch and British Water Management', with Willemijn Dicke, Global Social Policy, 5(2): 227-248. 2003 'Dramatis Personae for Pangaea Two', Erwägen Wissen Ethik, Jhrg. 14, pp. 88-90. 2001 'Max Weber and Globalization' (in Bulgarian) Socjologicheski Problemij (Sociological Problems: Journal of the Institute of Sociology of the Bulgarian Academy of Sciences) 33:167-76. 1998 `Europa im globalen Zeitalter', Berliner Journal für Soziologie, 8:411-420. ISSN 0863-1808. 1996 `German Sociology under the Spell of Modernity', Soziologische Revue 19: 437-442. 1994 (with John Eade, Neil Washbourne and Jorg Durrschmidt) `The Impact of Globalization on Sociological Concepts: Community, Culture and Milieu', Innovation: the European Journal of Social Sciences 7:371-389. ISSN 1012-8050. (See also Book Chapters in John Eade (ed) 1997). 1992 `Sine Ira et Studio - or Do Organizations Have Feelings', Organization Studies,13: 313- 329 ISSN, 0170-8406. 1991 `Internationalism as a Publication Project: Experience in Editing an International Sociological Journal', Current Sociology, 39, 101-18. 1990 `Values, Strategic Planning and the Welfare State: the Collapse of Social Policy', The Annals of the International Institute of Sociology, Rome. New Series 1: 87- 98. 1987 `Sociology for One World', Editorial, International Sociology 2 : 1-12. 1986 `The Undergraduate Curriculum in Sociology - "a Core for Humane Education"', BSA Presidential Address, Sociology 20 : 335-46. Socjologicheski Problemij (Sociological Problems: Journal of the Institute of Sociology of the Bulgarian Academy of Sciences) 17 : 11-22. 1981 `... law, ideology, law, ideology, law, ideology ... sociology? ', British Journal of Sociology 32 : 127-36. 1976 Part Two of Max Weber, `R. Stammler's "Surmounting" of the Materialist Conception of History", British Journal of Law and Society 3 : 17-43. 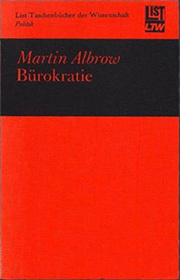 1975 `Legal Positivism and Bourgeois Materialism: Max Weber's View of the Sociology of Law', British Journal of Law and Society 2 : 14-31. Reprinted in 1991 (see Book Chapters). 1975 Introduction to and translation of Max Weber, `R. Stammler's "Surmounting" of the Materialist Conception of History", Part One, British Journal of Law and Society 2 : 129-52. 1974 Reprinted in Supplementary Material to People and Organizations, Milton Keynes: Open University Press. Pp 9-15. 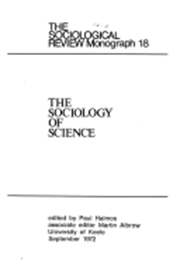 1974 `Dialectical and Categorical Paradigms of a Science of Society', The Sociological Review 22: 183-201. 1972 `Weber on Legitimate Norms and Authority: A Comment on Martin E. Spencer's Account', British Journal of Sociology XXIII : 483-7. 1971 `Public Administration and Sociological Theory' (The Lister Lecture), The advancement of Science 27 : 347-56. 1969 `On the Civilizing Process' (Review Article), Jewish Journal of Sociology XI : 227-36. 1967 `Ritual and Reason in the Selection of Students', Universities Quarterly 21 : 141-51. 1966 `The Influence of Accommodation upon 64 Reading University Students: an ex post facto experimental study', British Journal of Sociology XVII : 403-18. 1964 `The Sociology of Organizations' (Review Article), British Journal of Sociology XV : 350-7. Forthcoming. '"Big Society" as a Rhetorical Intervention' in The Big Society Debate: A New Agenda for Social Welfare? edited by Armine Ishkanian, Simon Szreter, and Hakan Seckinelgin. London: Edward Elgar. 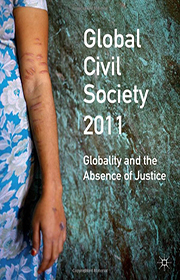 2011 (a) Introduction: Globality and the Absence of Justice', with Hakan Seckinelgin in Martin Albrow and Hakan Seckinelgin, eds, Global Civil Society 2011: Globality and the Absence of Justice. Basingstoke: Palgrave Macmillan. Pp 1-7. (b) 'Un choc, quel choc? À propos : N. Ferguson, C. Maier, E. Manela and D. Sargent, eds., The Shock of the Global : The 1970s in Perspective, Harvard University Press, 2010 in La Vie des Idées, on line journal http://laviedesidees.fr/_Albrow-Martin_.html, 02.07.2011. Also published as 'Shock, What Shock' in www.booksandideas.net/Shock-What-Shock.html?lang=fr ..
(c) 'Conclusion: Can Global Civil Society Answer the Hobbesian Problem? in Marlies Glasius and Denisa Kostovicova, editors, Bottom-up Politics: An agency Centred Approach to Globalization. Basingstoke: Palgrave Macmillan. Pp 241-255. 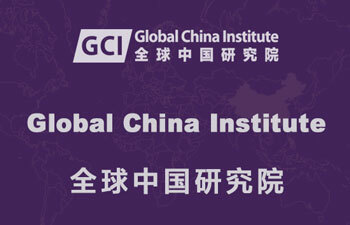 2010 'Summits as Narratives Between Leaders and their Publics', Chapter 28 in Toward the Consolidation of the G20: From Crisis Committee to Global Steering Committee, Papers from the G20 Seoul Summit, Korea Development Institute and The Brookings Institution, Seoul http://www.kdi.re.kr/kdi_eng/database/report_read05.jsp?1=1&pub_no=11568..
2008 (a) 'Democratizing Global Governance: Achieving Goals while Aspiring to Free and Equal Communication', with Fiona Holland, Chapter 13 in James W. St. G. Walker and Andrew S. Thompson, eds., Critical Mass: The Emergence of Global Civil Society. Waterloo, Ont: Wilfrid Laurier University Press and Centre for International Governance Innovation.Pp. 251-279. 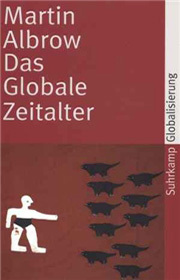 2007 (a) Das Globale Zeitalter. Frankfurt am Main. Suhrkamp, pp 384. ISBN 978-3-518-45868-6. 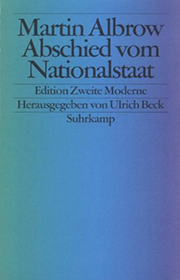 New expanded edition of 1996 (1998) Abschied vom Nationalstaat. 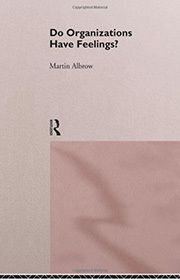 (b) Introduction: Violence and the Possibility of Global Civility' with Helmut Anheier, in Mary Kaldor, Martin Albrow, Helmut Anheier and Marlies Glasius, eds. Global Civil Society2006/7. London: Sage. Pp.1-17. (c) 'Regionalism in global governance', with Colin I. Bradford, Ch. 11 in Andrew F. Cooper, Christopher W. Hughes, Philippe de Lombaerde, eds., Regionalisation and Global Governance: The Taming of Globalisation, London: Routledge. Pp. 230-248. (d) 'Situating Global Social Relations' , Chapter 15 in Ino Rossi ed., Frontiers of Globalization Research, New York: Springer. Pp 317-332. (e) 'Unfinished Work: The Career of a European Sociologist', Chapter 1 in Mathieu Deflem ed., Sociologists in a Global Age: Biographical Perspectives. London: Ashgate. Pp. 15-28. 2005 'Global Shift und seine Konsequenzen für die Soziologie' in Nikolai Genov Hrg. Die Entwicklung des Soziologischen Wissens, Wiesbaden: VS Verlag für Sozialwissenschaften (translation of 2004) Pp37- 58. 2004 'The Global Shift and its Consequences for Sociology' in Nikolai Genov ed. Advances in Sociological Knowledge Over half a Century. Wiesbaden: VS Verlag für Sozialwissenschaften (new edition of 2002). 2002 'The Global Shift and its Consequences for Sociology' in Nikolai Genov ed. 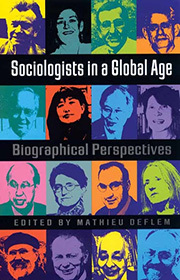 Advances in Sociological Knowledge Over half a Century,International Social Science Council, Paris. Pp. 25-45. 2001 'Globalization after Modernization: a New Paradigm for Development Studies' in Frans J. Schuurman ed. Globalization and Development Studies: Challenges for the 21st Century. London: Sage. Pp. 3-14. 2001 'Society as Social Diversity: The Challenge for Governance in the Global Age' in Governance in the 21st Century , Paris: OECD. Pp. 149-182. 2000 'Rethinking State and Citizenship under Globalized Conditions' (with Darren O'Byrne) in Henri Goverde ed. Global and European Polity?, Aldershot: Ashgate. Pp. 65-82. 1999 'The position of the moderns in conditions of globality' in Gert Schmidt and Rainer Trinczek eds. Globalisierung: Okonomische und soziale Herausforderungen and Ende des 20ten Jahrhunderts, Soziale Welt Sonderband 13. Baden Baden: Nomos. Pp 551-564. 1999 'Nacionalidade e Identidade na Era Global', in Joao Barroso ed. Globalizacao e Identidade Nacional. Sao Paulo: Editora Atlas S.A. Pp. 19-37. 1999 `Die Weltgesellschaft: Willkommen im Globalen Zeitalter' in Armin Pongs ed. In Welcher Gesellschaft Leben wir Eigentlich?. Munich: Dilemma Verlag, pp 27- 46. ISBN 3-9805822- 4-8. 1998 `Auf dem Weg zu einer globalen Gesellschaft?' in Ulrich Beck ed. Perspektiven der Weltgesellschaft. Frankfurt am Main: Suhrkamp. Pp.411-434. ISBN 3-518-40916-6. 1997 with John Eade, Neil Washbourne and Jorg Durrschmidt, `The Impact of Globalization on Sociological Concepts: Community, Culture and Milieu' in Living the Global City, edited by John Eade. London: Routledge. Pp. 20-36. (Republication of Article, 1994). 1997 translated as 'Auf Reisen jenseits der Heimat. Soziale Landschaften in einer globalen Stadt' in Ulrich Beck ed. Kinder der Freiheit. Frankfurt am Main: Suhrkamp. Pp 288-314. Also 2000 reprinted in part in John Beynon and David Dunkerley eds. Globalization: the Reader, London: Athlone Press. Pp. 81-86. 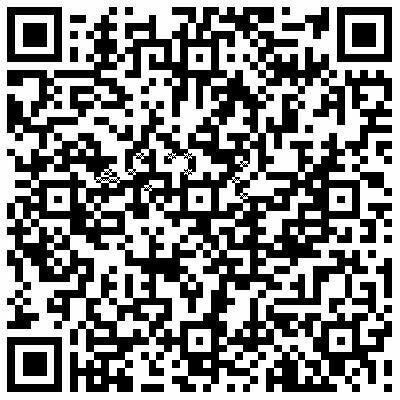 ISBN 0-485-00400-3 hbk. 1994 `Accounting for Organizational Feeling' in Organizing Modernity: New Weberian Perspectives on Work, Organization and Modernity, edited by Larry J. Ray and Michael Reed. London: Routledge. 98-121, ISBN 0-415-08917-4. 1993 `The Changing British Role in European Sociology' in Sociology in Europe: in Search of Identity, edited by Birgitta Nedelmann and Piotr Sztompka. Berlin: de Gruyter. 81-97, ISBN 3-11-013845-X. 1993 `Skills and Capacities in the Sociology Curriculum' in Sociology in Action edited by Malcolm Cross and Geoff Payne. London: Macmillan. 225-242, ISBN 1993 `Reflections on the World Reception of Max Weber' in Knowledge and Passion: Essays in Honour of John Rex, edited by Herminio Martins. London: I.B Tauris. 79-98. 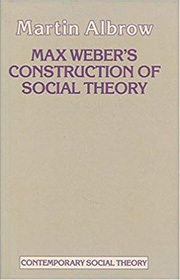 1991 Las sociedads como hechos construidos: el enfoque de Weber de la realidad social', in Sociologia:Unidad y Diversidad edited by Teresa Gonzalez de la Fe, Madrid: Consejo Superior de Investigaciones Cientificas. 75-92. For separate translation and publication see under Articles, 1991. 1991 `Irrationality and Personality: Weber's Theory of Needs and Emotions', in H.J. Helle (ed), Verstehen and Pragmatism, Frankfurt am Main, Bern, New York and Paris: Peter Lang. pp 25-32. 1991 `Legal Positivism and Bourgeois Materialism: Max Weber's View of the Sociology of Law', in Max Weber: Critical Assessments, edited by Peter Hamilton. London: Routledge. (Republication of Article, 1975). 1989 `Sociology in Britain after the Second World War', in N. Genov (ed. 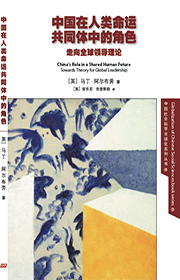 ), Building National Traditions in Sociology after World War II. London: Sage. 1989 `Die Rezeption Max Webers in der britischen Soziologie', in J. Weiss (ed. ), Max Weber Heute. Frankfurt: Suhrkamp. pp. 165-186. 1987 `The Application of the Weberian Concept of Rationalization to Contemporary Conditions', in S. Whimster and S. Lash (eds. ), Max Weber, Rationality and Modernity, 164-82. London: Allen and Unwin. 1987 `Der Begriff des Sozialen im Werk von Marx und Weber', in S. Böckler and J. Weiss (eds. ), Beiträge zur sozial- wissenschaftlichen Forschung No. 100, Marx oder Weber? Zur Aktualisierung einer Kontroverse, 48-59. Opladen: Westdeutscher Verlag. 1982 `Institutionalisierungsforschung in Grossbritannien', in H.J. Helle (ed. ), op. cit., 159-74. 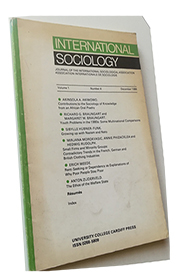 1982 `Beyond Naturalism: Values as a Topic for Interpretative Sociology', in H.J. Helle (ed. ), Kultur und Institution, 25-44. Berlin: Duncker & Humblot. 1980 `The Dialectic of Science and Values in the Study of Organizations', in G. Salaman and K. Thompson (eds. ), Control and Ideology in Organizations, 278-96. Milton Keynes: Open University Press. 1974 `Is a Science of Organizations Possible? ', in People and Organizations, Unit 16, 27-47. Milton Keynes: Open University Press. 1971 `The Role of the Sociologist as a Professional - the Case of Planning', in The Sociological Review Monograph No. 16, edited by Paul Halmos, 1-19. 1973 G. Salaman and K. Thompson (eds. ), People and Organizations, 397-413. Longmans for Open University Press. Forthcoming. 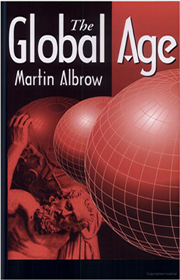 'Global Age' in George Ritzer, ed., Encyclopedia of Globalization, Oxford: Blackwell. 2012. 'Global Terminology', 'Universalism', 'Values', 'World Order, Visions of' entries in Helmut Anheier and Mark Juergensmeyer, eds., Encyclopaedia of Global Studies, London: Sage. 2003 'Globalization' in The Blackwell Dictionary of Modern Social Thought, edited by William Outhwaite,. Oxford: Blackwell. 257-60. 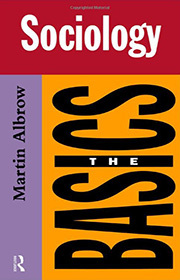 ISBN 0-631-22164-6 (revision of 1993). 1991 `Burocrazia', in Enciclopedia delle Scienze Sociali. Rome: Istituto della Enciclopedia Italiana fondata da Giovanni Treccani. Vol. 1: 590-609. 1987 `Bureaucracy', in V. Bogdanor (ed. ), Encyclopedia of Political Institutions. Oxford: Blackwell. 1968 `Bureaucracy' and 'Rationality', in A Dictionary of Sociology, edited by G. Duncan Mitchell, 20-2, 143-4. London: Routledge. 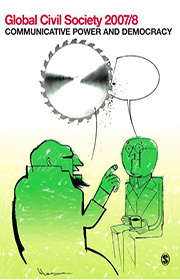 2010 (a) 'Globalization is not equal to national interest', Op-ed, China Daily, 01.07.10. 2008 (a) 'Gordon Brown, Adam Smith and an Opportunity for Sociology,' in Network, Newsletter of the British Sociological Association, No 99, Spring/Summer, pp. 9-10. (b) with Willemijn Dicke and Sabine Selchow, 'Globe Speak: global issues and global narratives', in he Broker, No 7, April, pp 20-21, also online www.thebrokeronline.eu . 2001 (a) 'Sociology after the Third Way in the UK and the USA', Network, Newsletter of the British Sociological Association, No. 78, January, pp. 10-12. (b) 'Global Justice and American Dreams' in Inquiries, Center for Free Inquiry, Hanover, Indiana, p.9. 2000 (a) 'Commentary: Trade and the Environment after Seattle', Environmental Change and Security Project Report, Washington DC: Woodrow Wilson Center, pp. 111-112. (b) 'A New British Monograph Publisher: sociology press', Footnotes, ASA, 28:9, p. 7. 1998 (a) `Faults and Defaults: Sociological Narratives for the Global Age' (ASA Plenary Address), Network, Newsletter of the British Sociological Association, January, pp. 8-9. (b) Podium: 'There is a thing called society' The Independent, London, 15 September. 1996 `On Being Summoned to History and Sociology', Theory: Newsletter of the Research Committee on Social Theory of the International Sociological Association. Spring, pp. 2-5. 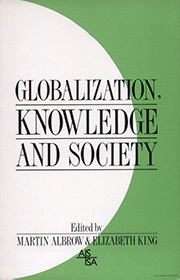 1990 Introductions to sections in Globalization, Knowledge and Society, (for details see under Edited Volumes), pp. 17-18, 61-62, 101-2, 155-6, 233-4. 1990 `Norbert Elias (1897-1990): A Memoir', International Sociology, 5, 371-2. 1989 `A World of Facts'. Times Higher Education Supplement, 21.4.89. 1986 `A Degree Curriculum Committee for the BSA', Network, Newsletter of the BSA, 36 : 4. 1985 `Editing as a Vocation', Network, Newsletter of the BSA, 32 : 5. 2000 -4 Editorial Board, International Sociology, Journal of the International Sociological Association. 2000 - Editorial Board, Max Weber Studies, Sheffield Academic Press. 1999- Wissenschaftlicher Beirat, Soziale Welt, NOMOS Verlag. 1992 - British Consulting Editor, Swiss Journal of Sociology. 1987-97Member of the Editorial Advisory Board of Sociological Abstracts. 1986-91 Founder editor of International Sociology, Journal of the International Sociological Association, Vols. 1-6 no.3. 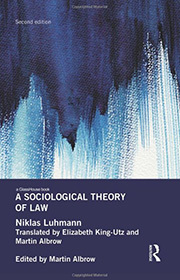 1985 Editor and translator (with Elizabeth King-Utz) of A Sociological Theory of Law by Niklas Luhmann. London: Routledge and Kegan Paul. xiii and 421 pp. 1985 with Virginia Blakey, Population Planning Guides, University College Cardiff Press. 1. Sue Long, How to Design an Integrated Health and Family Planning Project. 2. Penny Kane, The Impact of Birth Spacing on Child Health. 1981-4 Editor of Sociology, Journal of the British Sociological Association, Vols. 16, 17, 18. 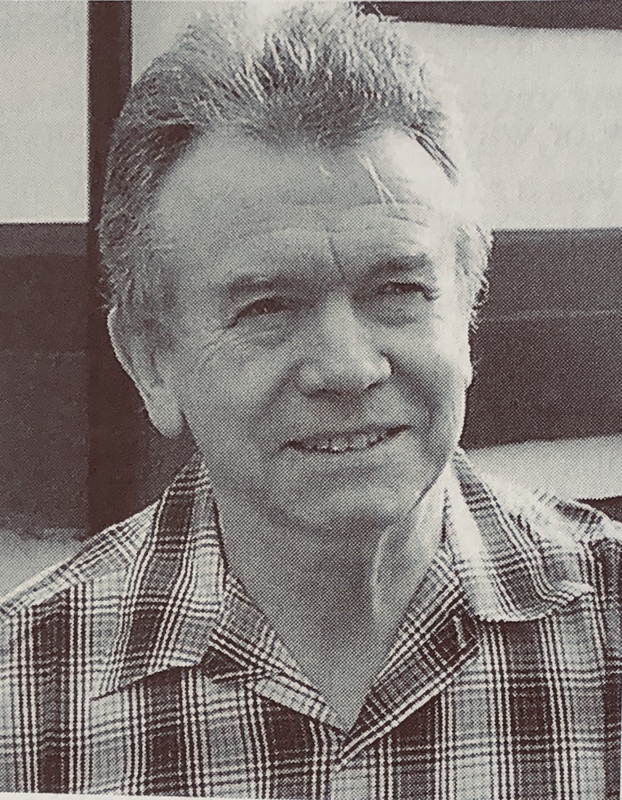 1977 Member of the Editorial Board of Sociology. 1972-3 Member of the Editorial Board of The Sociological Review.